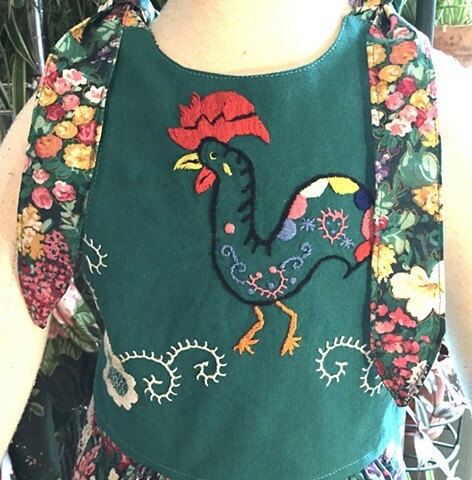 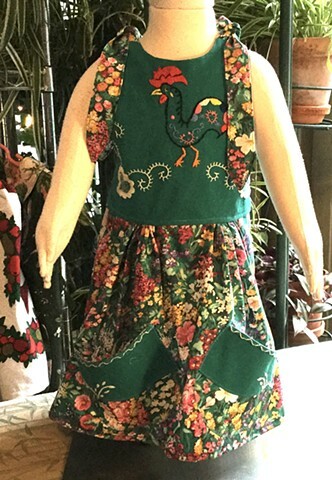 Antique embroidered roosters that used to strut around a tea towel now have been reassigned to the front and back of a dress, size Toddler (1-2 years), measures 22” armhole to armhole, 20” length from shoulder to hem. 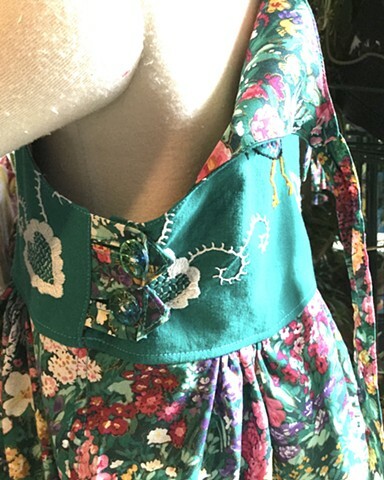 The rest of the dress is a smooth, busy garden print, imported from England, dropped armholes, ties at shoulders and opens at one side for easy getting into, slanted pockets, full gathered skirt. 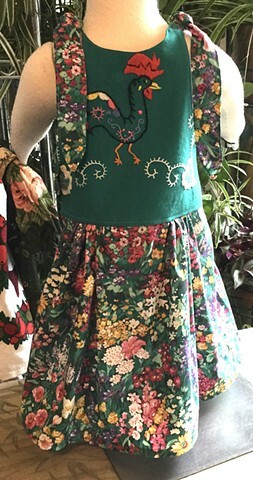 $50, 100% cotton, made by the designer herself and shipped free to any address in the U.S.